Database mirroring has been around since SQL Server 2005, and it’s turned out to be an excellent step up from log shipping. However, like log shipping, it is still only a database-level disaster recovery solution. Meaning that any logins, server role memberships or server-level permissions will not be mirrored over to the mirror server. This is where the DBA needs to plan ahead and create their own custom jobs to script and/or document these types of shortcomings. My solution is to use Powershell. 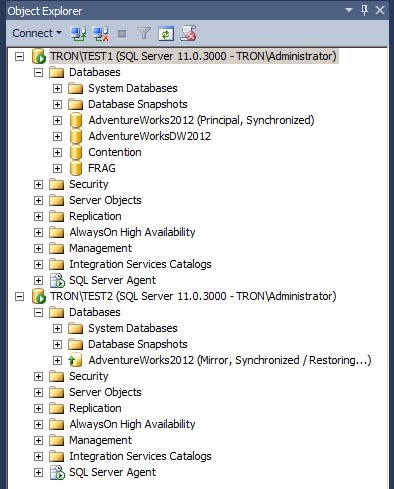 In this example, I have setup database mirroring for the AdventureWorks2012 database. For this demo, both instances, TEST1 and TEST2, are on the same physical server. There are two logins on the principal server that currently do not exist on the mirror server. One is a SQL login, AWLogin1, and the other is a Windows Authenticated login, TRON2AWLogin2. The first step of our Powershell script will need to connect to the principal server to generate a CREATE LOGIN script for those two logins. To generate the script, we need to grab the login name, the SID, and the hashed password if it’s a SQL login. This is accomplished by running the following code. In this example, you can see we have one row for each of the two logins. The next step of the Powershell script will need to write those two rows of data to a file on the mirror server. This is done using the System.IO.StreamWriterclass. When there is a need to failover to the mirror server, the DBA can then open this script and run it. All logins will be created and with their original SID value and password. The second half of the Powershell script will use the same procedures to script out any server role memberships or server-level permissions these two logins may have on the principal server. This is done using the following block of code. From the output, you can see the TRONAWLogin2 is a member of the BULKADMIN server role and has the VIEW SERVER STATE permission. These two rows will be written to a file in the same file share as the previous file. As before, once the database is failed over to the mirror server, the DBA can run this script to apply any missing permissions. Finally, this Powershell script can be scheduled to run from any server; however, I choose to setup this job on the principal server. I schedule it to run once a day through SQL Agent. Each run of the script will overwrite the existing file, so if there are any logins or permissions that have been added or removed, it will show up in the latest version of the files. 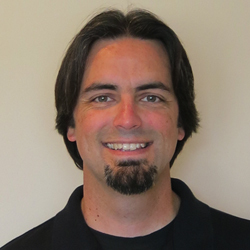 Using this Powershell script can make it very easy to script out logins and permissions. While this example was used with database mirroring, then same strategy will work for log shipping. The entire Powershell script is below. #                 to it's corresponding MIRROR server. #   Prerequisite: Powershell v2.0 must be installed. #                 SQL Server components must be installed. $server.ConnectionContext.ApplicationName = "Copy Logins and Permissions"
$fileName = $destinationPath + "\" + $machineName + "_" + $instanceName + "_ServerLogins.sql"
$fileName = $destinationPath + "\" + $machineName + "_" + $instanceName + "_ServerPermissions.sql"
$errorMessage = "Source server name is not valid." $errorMessage = "Destination path name is not valid." $conn.ApplicationName = "Copy Logins and Permissions"
$errorMessage = "File share: " + $destinationPath + " does not exists"
Write-Host " 1: Perform Initial Checks & Validate Input Parameters"
Write-Host " 3: Create Server Logins Script"
Write-Host " 4: Create Server Permissions Script"
Write-Host "  Copy Logins and Permissions to DR Completed Successfully   "
#Capture inputs from the command line. 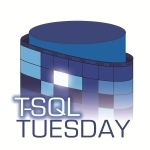 T-SQL Tuesday #40 is underway, and this month’s host is Jennifer McCown (blog|twitter). The topic is about File and Filegroup Wisdom. Jennifer says she’s a big fan of the basics, so I thought I would talk about the basics of proportional fill within a filegroup. 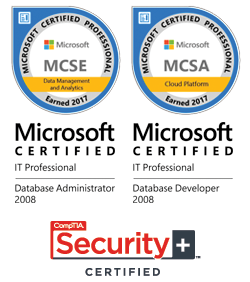 This should be pretty common knowledge, but I still talk to a lot of DBAs that don’t know anything about it, or if they have heard of it, they still don’t know how it works. The proportional fill algorithm is used to keep the amount of free space within a filegroup evenly distributed across all files in a filegroup. SQL Server’s proportional fill falls in line with the strategy of placing your files and filegroups across multiple disks, and thus, allowing for improved I/O performance. 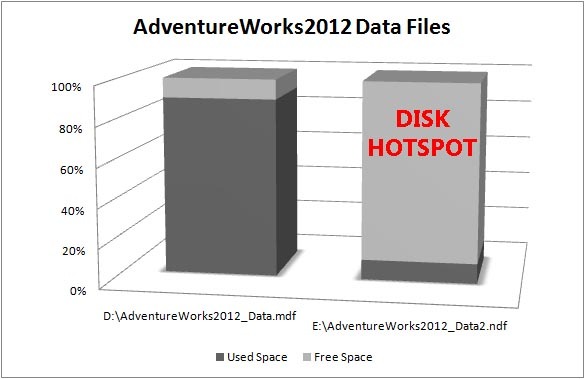 Let’s say we need to add more storage space for our AdventureWorks2012 database that has outgrown the current drive D. Because of storage limitations, we can’t add any more space to D, so our only choice is to add a completely new drive E.
Once we add the new E drive to the server, we add a new data file to the PRIMARY filegroup of the AdventureWorks2012database using the following query. One might think we’re safe at this point; however, because of the proportional fill feature we’re not. 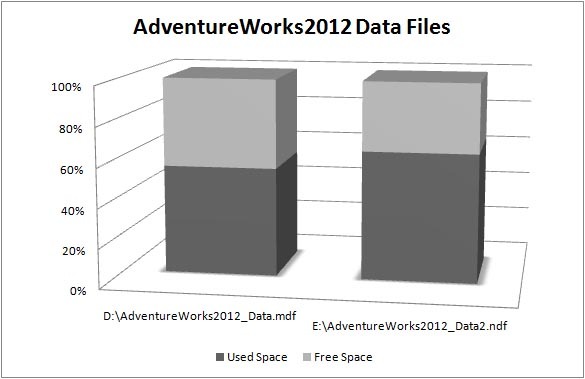 Once new data is written to the data files, SQL Server will create the new page allocations on the newly created AdventureWorks2012_Data2.ndf file because it has a higher percentage of free space compared to AdventureWorks2012_Data.mdf. Drive E now suddenly becomes a new I/O hotspot on the server. You can check the space used with the following query. To avoid this disk hotspot issue, we need to have the data more evenly balanced across both files in the filegroup in terms of data page allocations. The quickest way to do this is to rebuild all of the clustered indexes within the database. SQL Server will do its best to automatically rebalance all of the page allocations across all files within the same filegroup. In our case, both data files are still part of the PRIMARY filegroup. Check the space used again with the following query. Now what we have is much more evenly balanced allocation across both data files. This will allow SQL Server to even distribute the write I/O across both disk drives. By doing this one index maintenance step after adding a new file, you’ll help prevent a write hotspot on one of your disks and help SQL Server improve its I/O performance. But keep in mind that proportional fill only affects all files in the same filegroup. If we had added the second file to a new filegroup, then we would have to manually move tables to the new filegroup. For more info on files and filegroups, check out BooksOnline.